Russian President Vladimir Putin is on a state visit to China, which will include attending the 18th Shanghai Cooperation Organization (SCO) summit, June 9-10. 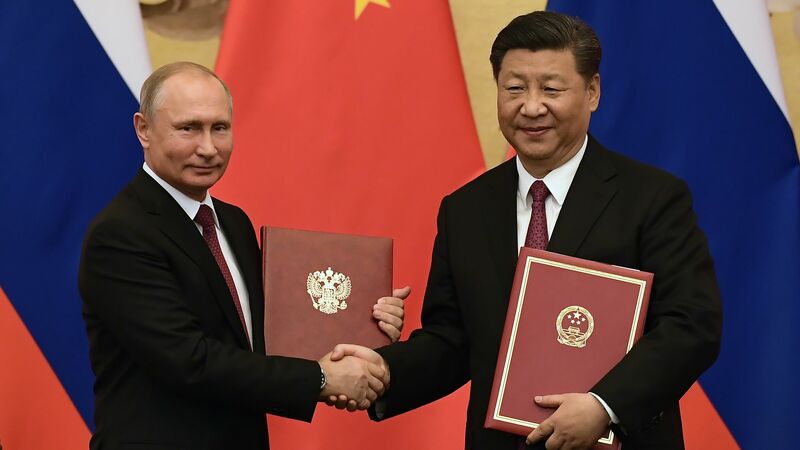 What we're hearing: Chinese President Xi Jinping awarded Putin the inaugural friendship medal of the People's Republic of China, and praised his "contribution and efforts to building a peaceful world." "The two leaders agreed that China and Russia should adhere to the concept of everlasting friendship and the spirit of strategic coordination ... No matter how international situations change, China and Russia always firmly support each other in defending their respective core interests ... Xi said." Why it matters: Many Western observers dismiss the Xi-Putin bromance as a tenuous friendship that poses no real challenge to the West. There are many points of potential friction in the China-Russia relationship, but it is risky to dismiss this renewed friendship too quickly as both Xi and Putin see massive opportunities from Trump's approach to foreign relations.